I’m now in the southern parts of the South Island where rivers flow vertically and rain falls horizontally. I expect some folk down here wouldn’t know what summer is. It’s very cold. 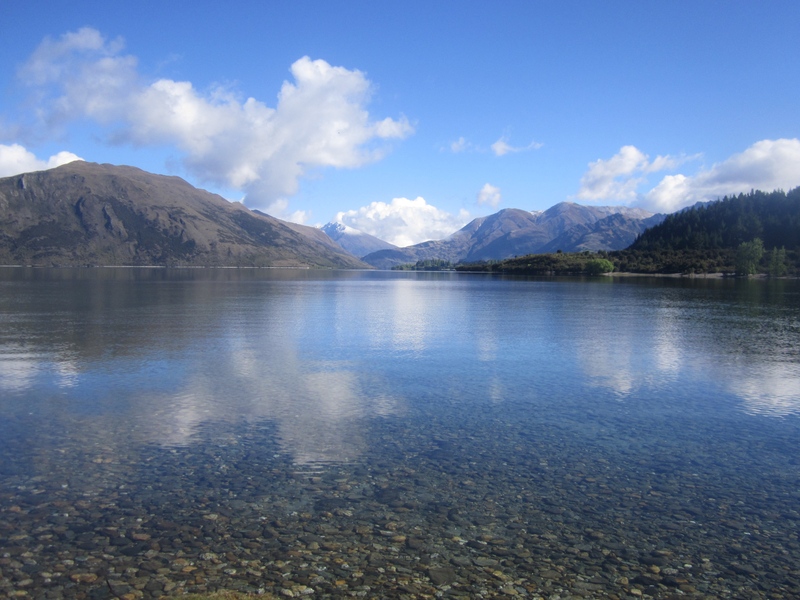 I have arrived at a little town named Wanaka, and for some reason it’s rather taken my fancy. It’s a tidy little town, with friendly people, but very busy, out in the middle of nowhere. Yet surrounded by new housing estates. People here seem to build their houses any way they want, which has given the local architecture great variety. It’s refreshing to see a whole community take pride and pleasure in their residents. And to complete the scene, the town is surrounded by snow-capped mountains – big ones! It’s a little surreal for me to see so much snow in late spring. I was so pleased to find this little town. It meant I could re supply without having to drive another 100km to Queenstown. Waking up here has been like waking up in a postcard. The van – oh boy! I knew this wasn’t going to be good from the moment I clapped eyes on it. This was straight out of the bargain bin and further discounted… Scratches and surface rust bumper to bumper. The interior not fairing any better. All but one of the plastic nobs is missing from the ventilation controls, exposing the metal lever and making it very hard (and painful) to adjust. When I hit the air conditioner button, the light comes on, and that’s about it! There’s no change in engine idle speed, I can’t hear or feel the compressor clutch engaging or disengaging. And given it takes a very long time to demist the windscreen, I think the air conditioner isn’t working at all. I just about need a crowbar to open the side door. Obviously it has been around NZ several times with 349,000km on the clock. So if I don’t know where I’m going, it will! I’ve never driven a vehicle with that many kms! But the really good thing is, if something does happen to the van (and something has happened! More in a minute) the hire company will never be able to tell! The kitchen. The WHOLE kitchen. Then there’s driving it. I was pleased to learn it was diesel, since diesel over here is so much cheaper than petrol. So I get it out on the road, and my first thoughts were, “OK… clearly this diesel isn’t turbocharged…” (My delica is). And, it sounds like I’m sitting on top of a very angry sewing machine. For what it achieves, the noise is just not warranted. But, I have worked out how to get the most out of the engine without overworking it by ignoring the speedo, and let it ‘torque’ its way up hills. I’m consoled by the fact it’s still quicker than walking. I’m not sure if it’s quicker than cycling, though. It will do 100km/h, provided I find a high enough cliff. Fortunately there are plenty of those around. Also, the slightest puff of wind is enough to push it off line at speed, and there’s lots of wind noise. It’s cost me around $1,700 to hire for 18 days. That’s about what I’d be prepared to pay buying it outright… I expected the van to be a bit rough around the edges being 9-15 years old, and paying much less than the common rate for this level of equipment for this time of year, but WOW! Still, I am impressed what you can do in such a small space! 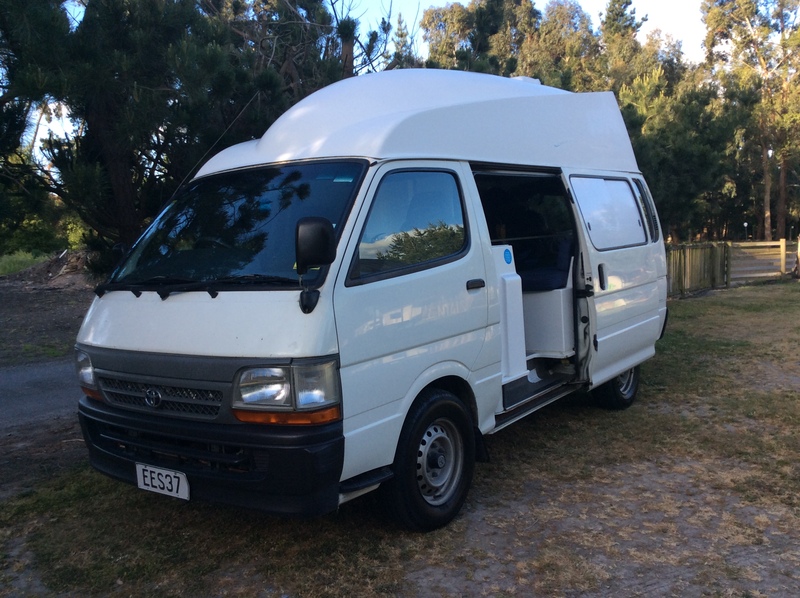 It’s just a regular Toyota Hiace with a raised fibreglass roof, and someone has jammed in here a toilet and shower, a kitchen, and a dinning set which converts to a double bed, complete with running hot (part time) and cold water. And everything is usable! I’m not sure how 2 people could comfortably travel in here. But for one person (minus their recumbent trike) it’s perfect! Kiwi’s do have a habit of doing the strange and the bizarre. Having reached the S6 – the main road along the west coast, I found myself negotiating a roundabout with the main train line going through the middle of it. But that was just the appetiser. Not too far up the road going into Greymouth, I was driving ON the main rail line! Oh yes… Kiwi’s often find that half a bridge is enough of a bridge. This bridge is single lane, with oncoming traffic giving way both sides, and it also services the main rail line. So, when a train does come, traffic comes to a halt. I guess we don’t build bridges like that in Australia any more – OH&S wouldn’t allow it! With the mountains so close to the sea, there’s plenty of steams, creeks and rivers to cross. I’ve seen river beds before in the Hunter Valley, and they’re kind of cute. But some of these stretch for several hundred meters across. It’s incredible to see. I sheltered in a nearby pub for a later lunch. After which the storm was still raging. I pressed on hoping if I came far enough inland, the mountains would shelter one of the valleys from the wind. At times, I had to slow to 60km/h just to keep the van from being blown off the road! The next day, I heard an unofficial report of a camper van on the Mt. Cook road being blown onto its side. I can well believe it, especially if the driver had not slowed down. Happily, my hopes were fulfilled, and I found a sheltered spot for the night at Pleasant flat. Now I know why the west coast is known as the ‘Wild West’… When visiting NZ, you expect a bit of wind and rain. But even by NZ standards, this was wild! The next day saw plenty of rain, hail, and wind. Which was frustrating given I was passing over the main range again through some very scenic country. Pending weather conditions, I’ll retrace today’s route tomorrow. Receiving advice from a local Department of Conservation officer (what we call National Parks and Wildlife Service) confirmed my decision. 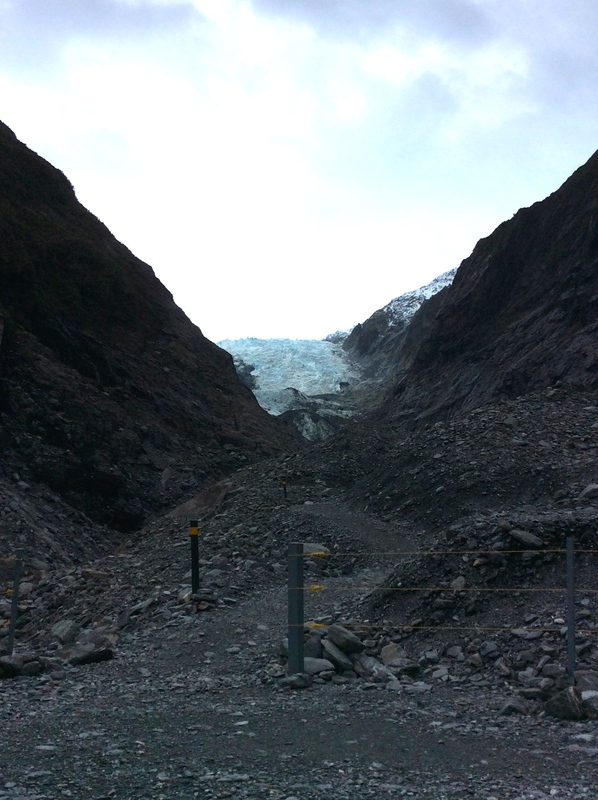 The next day I wanted to visit Fox glacier. This was only a 2km return walk. But I was still hurting from the effort the day before. I could sense the weather changing for the worst, so I didn’t go. There was a road going up to a viewing point. At the bottom of the road, there was a sign advising the road was unsuitable for camper vans. It was wrong. Seriously though, I think the sign is there just to keep out the big campers, and I wouldn’t want to take one of them up there. So tomorrow I head back from whence I came to see what I missed out on today. Then I’ll press on to Queenstown and Milford Sound over there next few days. So, where was this all leading? That was the question being asked for many years as I studied. My exit thesis was accepted on the second submission and came back with a distinction. Subsequently I was licensed to preach on the 17th March – an acknowledgment that I had completed my training. Yet the question remained, “Where was this all leading?” It wasn’t until mid March that any prospects of employment began to take shape. The newly appointed CEO of Presbyterian Social Services asked the question I’ve long been waiting for, “Jason, what do you want to do?” Around 3 weeks later after further correspondence, I was appointed as the Disability Advocate for the NSW Presbyterian Church for 14hrs/week. The task: to educate the church on matters of disability and to equip the church to respond to the needs of people with disabilities and their carers – no small task for anyone! But there’s nothing else I’d rather be doing. Consequently, 2013 was very much a whirlwind of a year. Prior to taking the position, I had agreed to co-author a conference paper with Lindsey Gale (CBM, Melbourne) for the ‘Disability, Theology, and the People of God’ conference at Carey Bible College, Auckland in July. Happily, all this was considered part of my new position as research and development. This was a compilation of my exit thesis “The Role of the Holy Spirit in a person with a Disability and their relationship with the Church”, and Lindsey’s research into the results of the National Church Life Survey in regard to disability in the church. It was a mammoth project. Somehow, I think I had the easy end of the deal! All I had to do was come up with the theology – most of which I had already written. I just had to “de-nerd” my thesis by taking out all the Greek, which grated me… Anyway! Once upon a time, I didn’t know Greek either. I have since learned our paper has been accepted by the publisher for the conference book which is great news – and a relief! So, this meant some travelling. In April I went to Melbourne to begin co-authoring the paper. This also provided an opportunity to catch up with friends, and share my faith at one of the schools. I also went to Auckland for the conference. 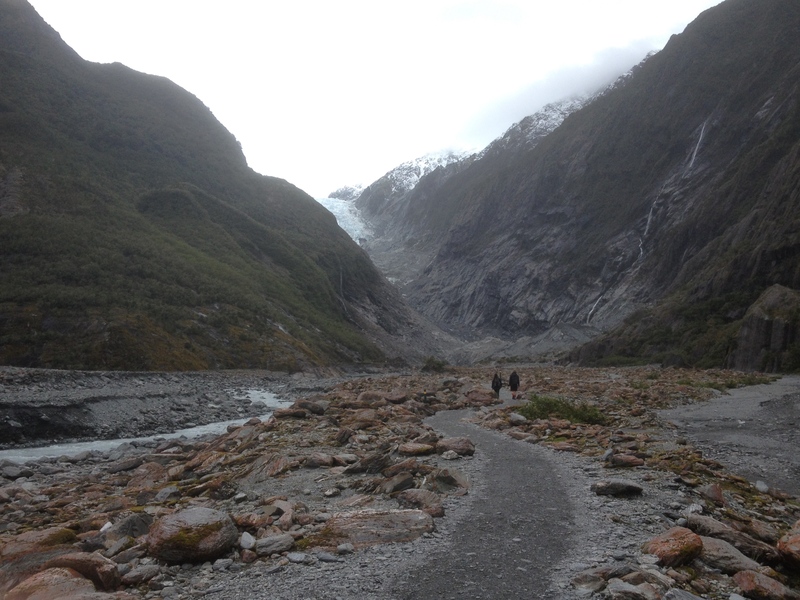 Last time I was in New Zealand, I didn’t take the opportunity to have a look around after my training placement. This time, I was determined to take the opportunity! 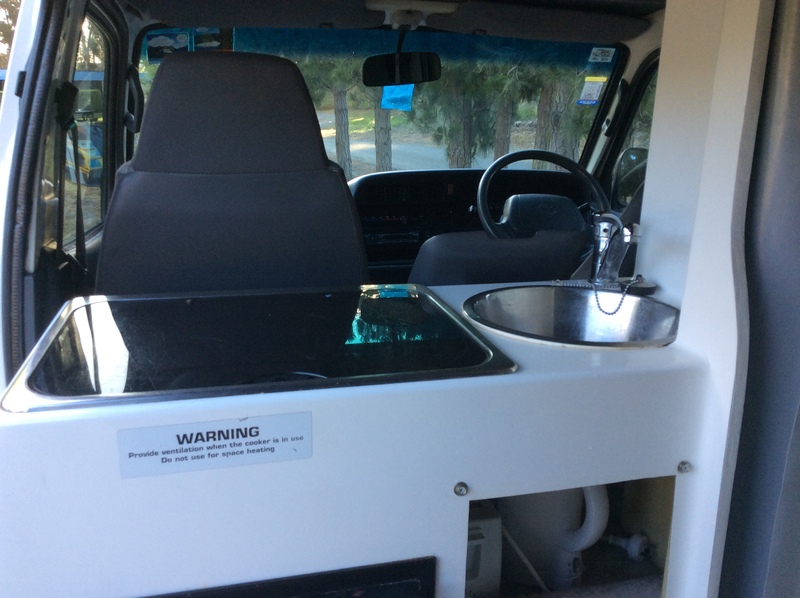 With the OK from work, I hired a motorhome for 10 days and toured parts of the North Island. It’s certainly one of the best holidays I’ve had. Some of the highlights were the Coromandel Peninsula, Hobbiton (Lord of the Rings movie set), and Rotorua. I really enjoyed learning about Maori culture as well. The geothermal areas were a freaky but intriguing place to be. I was really blessed with the weather. Of course, it rained. But it didn’t affect my activities. Hobbiton was well timed. Just as I was leaving, it began to rain – YES!! I found their winter isn’t that much colder than their summer, so staying warm and confortable wasn’t that much of an issue. Apart from higher academic works, I’ve also had articles published in the Presbyterian NSW state magazine, ‘The Pulse’, and the National Magazine, ‘Australian Presbyterian’. I’ve been visiting churches and Presbyteries promoting Luke14 – the education initiative developed by CMB. Highlights have been to visit Mittagong Presbyterian who have an active ministry to include people with disabilities, and to visit Toukley Presbyterian on 2 occasions. Never had I received a reception to one of my sermons such as I did at Toukley. It was very encouraging. Much of the work is done at home, such as reviewing Scripture teaching material for children with intellectual disabilities, and continuing research into theological developments and current affairs in the area of disability. A big blessing has been to have my church on board with my work. Gosford Presbyterian agreed to host all 5 Luke14 workshops dispersed throughout the year. This is giving me the opportunity to get a feel for the workshops and find out what works, and what doesn’t work. It’s been great to have a team of people supporting me as I run these workshops. So far, I’ve run two workshops, with the next one on Kids and Teens on the 9th March, 2014. I’m continually praying that churches will recognise the need, and make a decision to take positive action. It was thrilling, then, to formalise this work with my ordination into the Presbyterian Church as a minister on the 20th October – something I was wondering if it would ever happen at the start of the year! To hear Dr. Ian Smith open God’s word, and have so many of my friends and family there was such a blessing. A few of my friends came from deep in the woodwork. This was an encouragement and a surprise. Being ordained and appointed to my position now means I have a say in what happens in the denomination the same as other ministers. I think this is a very good thing for the NSW Presbyterian Church, and not just for me. So work is only 14hrs/week – what do I do the rest of the time? Again, I taught year 2 Scripture at Wyoming public this year. This is still a challenging exercise reinventing the lessons so I can deliver them with my limitations. I expect to be doing this again next year. I’m still running church services at Allambie Heights’ Cerebral Palsy Alliance. This year, we finished the ‘Sermon on the Mount’ series. We went through 1 John – which worked remarkably well. Now we’re half way through the ‘I am’ statements of Jesus in John’s Gospel. It’s been particularly encouraging this year to see these people affirming the Gospel. I’m also giving pastoral support in my own time, and leading my Bible Study group when required. I’m still involved with disability camps at Springwood, largely helping out with the teaching side of things So, life is full, and I have found myself some weeks with my head in 4 different parts of the Bible, in more than one language. I’ve enjoyed the interaction I have online discussing points of theology, and nuances in the Greek. I have also made a point of bike ridding and exercise – not that it’s happened as much as I wanted. But I have grown acutely aware that the fitter I am, the more I can do. If I’m to keep up this work rate, along with looking after myself, I need to be fit! So I’m thankful that my work is only 14hrs/week with all the flexibility that I need. Apart from tripping around in a Kiwi motorhome, I’ve also had opportunity to take shorter breaks. I took the opportunity to end a 12 year absence of attending Katoomba Easter Convention – a weekend of Christian teaching by international speakers. It was very refreshing. And I had a few days relaxing at Jervis Bay with friends this past spring. So, where is this all heading? No idea! But God knows, and I very much look forward to the adventure. God had brought me thus far, doing what no one has been able to perceive. And I’m thankful to have your prayers and support along the way. College might be over (for now), but the hard work has only just begun. In case anyone is wondering, I’ll still be writing under the title The Student’s Desk. “The Minister’s Desk” is only a celebratory title. I may no longer be at college, but I still consider myself as a student of our Lord and Saviour, Jesus Christ. That’s what the word ‘disciple’ means – student. If I’m not a disciple, then it’s high time I resign from the ministry! Evidently, I’m intent on remaining a disciple. Then there’s the prospect of a research master’s… one day. Dear Prime Minister, Jesus Christ is Lord: A response to Rudd’s comments on Q&A 2nd September, 2013. A number of Christian commentators have already made responses. I want to make two comments I haven’t seen made yet: A historical comment, and a redemptive comment. The PM’s citation of the Bible comes from two places: Ephesians 6:5, and Colossians 3:22. Firstly, at a historical level, what was this ‘slavery’ that Paul was referring to? Are we really to imagine African chain gangs labouring away under a hot sun in the southern parts of the United States of America? Slavery in the Roman Empire was an integral part of life. And no doubt it could be brutal. Slaves from the north and west of the empire were often given the most difficult tasks, and worked in chain gangs. But this was not always the case. The preference was for slaves from the east, who would go on to be household servants, teachers, librarians, accountants, and estate managers. It’s estimated that 85-90% of the population of Rome and the Italian peninsula were slaves. These slaves were granted many rights. Slaves were able marry, and accumulate money to purchase their freedom and start their own business. Slaves also held other prominent positions in the community such as artisans, architects, physicians, administrators, philosophers, and grammarians. To equate Roman slavery with the American slave-trade is to be irresponsible with history. Secondly, at a redemptive level, why does Paul even raise the issue of slavery. By these words, is Paul endorsing the ownership of human beings by other human beings? In 1 Corinthians 7:21, Paul seems to be encouraging slaves to gain there freedom. Presumably, this means to buy their freedom, as we also have Paul sending a slave back to his master with letters of commendation (Philemon 1:8-19). Paul can’t be endorsing slavery as we might imagine it. So what is Paul endorsing? Paul is endorsing a gospel-shaped life – a Jesus-centered life. Paul lists a number of positions in life including wives, husbands, children, and fathers that are to comply to such a life. The thing to take away from this passage is Jesus Christ is Lord no matter what your life situation is. Jesus Christ is Lord whether you’re a slave or a free capitalist. Jesus Christ is Lord whether you’re a part of a democracy or under a dictatorship. Jesus Christ is Lord whether you’re an employee or an employer. Jesus Christ is Lord whether you’re straight or gay. Jesus Christ is Lord whether you’re young, old, sick, healthy, disabled, able, educated, uneducated, married, single, whatever!! Even if you’re a historically irresponsible, Bible-twisting public servant, Jesus Christ is Lord. There is one other position Paul mentions that I have deliberately left out until now. And how disappointing it is that those who wish to disparage the Bible can’t even be bothered reading a few more lines on to appreciate just how radically different the Jesus-centered life is. “And masters, treat your slaves in the same way. Do not threaten them, since you know that he who is both their Master and yours is in heaven, and there is no favoritism with him.” (Ephesians 6:5). The Bible never accepts the brutality that comes with slavery, but seeks to transform it, as surely as it seeks to transform any life situation. This doesn’t mean the Bible endorses slavery, but it does seek to minimise it’s impact. The concern here is, wherever we are in life, we are to respond to the grace God has lavished upon us. Firstly, as general providence as God gives us food to eat, clothes to wear, places to stay, and things to enjoy. Secondly, as a special providence in saving us by the forgiveness of our sins through the death and resurrection of His only son, and our Lord, Jesus Christ. THAT, Prime Minister, is the fundamental point of the Bible. I worked this out when trialing a group email app, and quickly worked out what it did. It so simple, it’s stupid! In the email field, type in all the emails address for your group. The email field will accept multiple email address. Insert the name of the group in the ‘To’, ‘CC’, or ‘BCC’ field. The group name should appear as you’re typing. Only the name of the group will appear, but it will contain all the email address. Click/tap [Send]. Everyone in your group should receive you’re email. For existing group mailing lists on your Mac or PC, conversion is quite simple. In the ‘To’, ‘CC’, or ‘BCC’ field, type the name of your group. The name and possibly the email of each individual will now appear. In the email field, paste all the emails address for your group (Mac: [COMMAND] + [C]. PC: [CONTROL] + [C]). The email field will accept multiple email address. Click/tap [Done] when all the email address are entered. You can now compose your email as per the first set of instructions. This sermon was preached at Wesley Church, 26th May 2013. A fuller text of the sermon is provided below. In a news article I read recently, a mother and her daughter in North Carolina were found walking down the street naked. When stopped by police, the mother informed them they were walking down the street naked because God had told them to. In another article, a South Boston made was charged with disorderly conduct for ‘train surfing’. He later informed police that God told him to do anything he wanted. In a much more disturbing article, a mother accidently suffocated to death her 3 year old daughter believing her daughter had a demon, and that God had told her to exorcise the demon. She was committed to a state mental health institution for six months. News articles like theses may well see us asking: what does it mean to be led by God, or by his Holy Spirit? As Christians, we have experiences which we may describe as being led by the Holy Spirit. We may particularly seek out guidance by the Holy Spirit when buying a house or a car. Or searching for a job. Or considering a marriage partner, or whether to marry at all. And I don’t wish to put the legitimacy of those experiences into doubt. Even I, myself, sought the guidance of the Holy Spirit as to which passage I should preach on today. I was given a choice of 4 passages by this church, and I felt led to preach on John 16:12-15. But these experiences do not define the norm for what it means to be led by the Holy Spirit. For if we keep pushing this kind of thinking, we will end up seeking the Holy Spirit over which breakfast cereal we should eat – which is just ridiculous. For if that is how we think of the Holy Spirit’s guidance, there’s not much, if anything, that separates us from those in the news. So, we are still left asking: what does it mean to be led by the Holy Spirit? Can I say from the outset, that the work of the Holy Spirit is not to diminish our responsibility, but to enhance our responsibility as followers of Jesus. To understand how the Holy Spirit does this, we must understand who the Holy Spirit is, where he and his authority comes from, and what he actually does. Once we have done this, we’ll be in a much better position to know what it means to be lead by the Holy Spirit. Before answering those questions, we may wonder why is the Holy Spirit needed? In John 16:12, we find the disciples suffering a bit of ‘information overload’. When you consider that this is one of the longest single discourses of Jesus we have recorded, it’s understandable. But this is not the main cause of the information overload. It starts way back in chapter 12 with the celebration of the Passover. In 14:8, the discourse takes on a sharp focus with Phillip’s request for Jesus to show them the Father. In other words, Phillip is asking Jesus for a fuller, richer experience of what it means to be his disciple. They’re about to receive that experience in 1 week’s time when they witness Jesus’ crucifixion and resurrection. But they’re not going to understand it. That’s why they can’t bear what Jesus is saying to them now. Their eyes are glazed over, and nothing Jesus is saying is going in. How are they to continue on in the absence of Jesus, especially when they’re so thick? The answer is the Holy Spirit referred to as ‘Spirit of Truth’ in v13. It’s not the first time he’s been mention in this discourse. So to find out more about him, and how he solves the problem, we’re going to look at other parts of this discourse. In 14:17, he is again referred to as the ‘Spirit of Truth’. There, we learn he is not of this world. He does not blend into this world. He cannot be received or recognised by the world. Why? I suggest it’s because his agenda is different to the world’s agenda. He does not entertain worldly passions. Do you want the Holy Spirit to lead you to that nice sports car, or that luxury yacht because your workmate has one? I suggest it’s not going to happen. The Holy Spirit’s concern is different from the world’s concerns. In 14:6, 26 and 16:7, the Greek word used to refer to him is paracletos, and is usually translated as ‘helper’ or ‘counsellor’. I suggest another helpful word might be ‘coach’. He coaches us in our relationship with God. A sports coach doesn’t play the game for you, nor tell you what to do at every single point in the game. But he does point you in the right direction, and equips you to play the game well. Don’t expect the Holy Spirit to do your decision making for you. But look to him so you do make good decisions. Where does the Holy Spirit and his authority come from? In 14:26 we learn that the Holy Spirit comes from the Father in Jesus’ name. He is sent by the Divine Father who has been revealed by the Divine Son. This should give us a clue as to why he is not of this world, and cannot be engaged by the world. Because he is of God, and is God he is engaged in God’s work. His concerns are God’s concerns. That’s why in 16:13, we learn that he has no authority is not his own. He takes what is God’s and what belongs to Jesus, and makes it know to us. So if you find the spirit is saying one thing, and the Jesus is saying another in the Bible, I suggest to you whatever spirit your listening to is not the Holy Spirit. Because the Holy Spirit does not speak of his own authority, but only the authority of the Father and the Son. And we know what the Father and the Son have said, because it’s been recorded for us in the Bible. There’s no guess work for us! So, what does the Holy Spirit do? In 14:26 we learn that the Holy Spirit reminds and teaches us what Jesus said. In 16:7 we learn that the ministry of the Holy Spirit is in direct relation to Jesus’ ministry. Jesus’˜ ministry was to make atonement for sin in his death and resurrection. The Holy Spirit applies that ministry to us. That’s why Jesus says in 16:7, “if I don’t go, he wont come”. Jesus was going to make atonement for sin, and unless that happened, they’d be no atonement for the Holy Spirit to apply. And if there’s no atonement to apply, there’s no work for the Holy Spirit to do. Follow?? In 16:13, we learn that the Holy Spirit guides us in all truth. Does this mean that Christians don’t need to study for exams? I can’t see any of my former lectures at Bible College being convinced of that kind of thinking! The force of what is said here is that the Holy Spirit will immerse us in everything Jesus has said. The disciples hardly understood anything Jesus said to them. But it was still truth. It was still relevant. The disciples needed to be immersed in that truth by the Holy Spirit so they could understand it with their minds, and have it seep into their hearts, and out through their bodies as they lived out that truth. We also learn that the Holy Spirit declares the things that are to come. Does that mean that there’s more revelation to come? For us, no. For the disciples, yes. Remember, in 1 week’s time, they will see their beloved Lord crucified, buried and resurrected, and though they may believe, they will not understand. In 20:8-9, Peter believed but didn’t understand. In v13, Mary Magdalene thought someone had moved Jesus’ body. And in v25, poor old doubting Thomas needed physical proof! It wasn’t until the Holy Spirit came that they understood why Jesus had died, and was resurrected. The Holy Spirit reminded them of everything Jesus had taught, and made known to them the meaning of his death and resurrection. That when he died, he was taking their punishment, in their place, for their sins against a Holy and Righteous God. That they were no longer their own to do as they pleased, but they now belonged to God, PURCHASED by the precious and pure blood of Jesus for eternity. That they no longer belonged to this world with all of its selfishness, all of its lust, and all of its greed. But they now belonged to a new order, a heavenly order, where the good of the other is sought in love, and God the Father and his Son Jesus are worshipped alone, and are made known. The same is true for us. We need to be immersed in that glorious truth by the Holy Spirit. The truth that we have been PURCHASED. We no longer belong to this world, so why on earth do we insist on living like it? We belong to God, and we live according to a heavenly order. The Holy Spirit guides us and enables us to do that. We owe Jesus praise and worship, big time! Are you starting to notice a pattern here? Being led by the Holy Spirit is not about our activity, and God responding to our small-time ideas. It’s about God’s saving activity in Jesus, and us responding to God’s ideas for eternity! Being led by the Holy Spirit is about Jesus. Knowing Jesus and glorifying Jesus. There is nothing else to know or to be revealed apart from Jesus, because everything concerning God has been given to Jesus. Therefore, being led by the Holy Spirit involves much more than our decisions. It involves our thoughts and our attitudes. We are to look for ways where we can be immersed in the truth about Jesus, growing in our knowledge of him, and glorifying him. And if you really can’t make up your mind between Cornflakes and Cocoa Pops, there’s a very easy solution – have both! God gave us food to enjoy. Don’t make it any more complicated than what it has to be! Being led by the Holy Spirit means growing in the knowledge of Jesus, and glorifying him in all we do. The following sermon was delivered at Gosford Presbyterian Church, 27th January 2013 on Psalm 98. I suspect everyone here would agree that worshipping God is important. God deserves to be worshipped, and we were created to worship God. But if we are honest, we can find worship difficult. Perhaps one of the main reasons why we find worship difficult is wrong motives. We can end up thinking that God exists to bless us the way we want. Then when we don’t get what we want, we struggle to worship God. I admit, I find it easier to come to church when I’ve had a good week, rather than when I’ve had a bad week. Worse still, we can face the very real temptation to stop worshipping God all together. On the other hand, correct motives sustain us to worship God. So it’s worth asking, what should motivate us to worship God? A good place that helps us answer that is the Psalms. Psalms 96 – 99 form a block of Psalms that celebrate God’s kingship. These Psalms give us insight into correct motives for worshipping God. They’re worth reading through, in your own time, noting what the Psalmist mentions, and perhaps what he doesn’t mention. Today, we’re looking at Psalm 98, which begins by inviting us to worship God by singing a new song v1. The idea being expressed by the Psalmist of a new song means to look beyond our present circumstances – our frustrations, our weaknesses, our disappointments – and look forward to the NEW work of God in the future, which we’ll look at in a minute. But some of you might find this a big ask. Some of you may find your circumstances so painful, you just can’t see past them at the present time. Well, there is a solution. Before you look forward to what God will do, look back to see what God has done, and all the positives he has provided. That’s exactly what the Psalmist does! in v3 The Psalmist looks back to the time when God made salvation for his people. It’s likely that the Psalmist is referring to God’s salvation in general terms. But it is also likely that he was thinking of the exodus – when God saved his people from the tyranny of slavery in Egypt, and after many years, brought them into the Promised Land. Just as he had promised their forefathers generations before. For us today, we need to look back to the salvation that God made for us in Jesus – when we were saved from the tyranny of sin. When Jesus died on the cross, our wrong doing before God was removed so we could enter a right relationship with him. His resurrection assures us that sin has been conquered, and the work of salvation continues. Whether it’s the salvation that Israel experienced in the exodus, or the salvation we experienced in Jesus, we are to understand that salvation is entirely God’s work. In v1 it is stated that “God’s right hand and holy arm have made salvation”. This gives us confidence to depend on what God has provided for us. If I make something, trust me, you know it will fall apart. The same is true for our salvation – if we try to make our own salvation, it will fall apart. We can’t put confidence in our own efforts. But, because God has made salvation, it can’t fall apart. If you trust in Jesus as your Lord and Saviour, your relationship with God is secure. Nothing can change that – not our frustrations, weaknesses, or disappointments. So here is the right motivation to worship God. We worship God not because he gives us what we want – although sometimes he does, and we should thank him for it. But we worship God because he gives us what we need – a right relationship with him. So, what will this worship look like? How are we to worship God? In a word, publicly and loudly. Occasionally I hear about the idea of a ‘private Christian’ – someone who keeps their faith to themselves and never lets on they’re a Christian. Such an idea is inconsistent with Psalm 98. In v4 the psalmist’s invitation goes out to th`e whole earth, which involves making music. Until the invention of headphones, music was not a private affair! Music that is out in the open is noticed by anyone nearby. There is nothing private about music. So, according to Psalm 98, neither should there be anything private about our worship of God. Everyone is invited to worship God. So, when it comes to right motives for worshipping God, we need to be looking beyond our own circumstances, because it’s God who makes salvation, not us, and our response in worship is to be public. Now, I’ve made mention that our circumstances can be painful. But in focusing our attention on the salvation that God has made for us, I do not intend to be dismissive of such circumstances. I know when I’m hurting, and my concerns are dismissed, it only hurts even more. I don’t want to do that to anyone. We should be looking to support each other any time one of us is hurting. But at the same time, we must recognise that the support we get is not the final solution to that hurt. The final solution to our frustrations, weaknesses, and disappointments is judgement. We see that in vv7-9. Judgement is a part of salvation. They go hand-in-hand. Judgement will see a time when things are put right. Not just improved. They will be made right! A time when evil and wickedness will be punished. A time when the righteous will be protected. That is, for those who are trusting in God’s promises, harm and injury will be done away with. Suffering will be no more. It’s important to note the difference in who pays attention to salvation and to judgment. While we might expect that salvation gets the most attention, its actually judgement that gets the most attention. With salvation, everyone on earth pays attention, which when you think about it, that’s a lot of attention! But in vv7-9 judgement not only grabs the attention of everyone on earth, it grabs the attention of creation itself. The fish, the animals, the rivers, the mountains are all caught up in the worship of God, looking forward to the judgement that is to come. Our motive for worshipping God is bigger than ourselves; bigger than our circumstances; bigger than our lives – what we’re doing, and what we hope to do. Our motive for worshipping God is God himself: What he has done in making salvation. For us, that salvation is through Jesus; and what God will do in judging the earth. We need to see that our motive for worshipping God should not be restricted by our circumstances. So when I have a bad week, I still come to church. When I’ve had a discouraging day, I still go to Growth Group. When I’m angry and want to tell someone off, I still pray. When I feel like hiding at home, I still look for ways to share my faith. When I feel like escaping reality by watching a movie or playing a computer game, I still read the Bible. When I’ve been ripped off, I still look to be generous with what I have. I don’t abandon God just because I don’t like my circumstances. And neither should you. Instead, we are to persevere in our worship of God, looking beyond our circumstances. And our worship is to be motivated by the salvation God has made, and his coming judgement. In this way, we can truly sing a new song, and worship God, just as the Psalmist invites us to do! 2012 saw the end of a course of study that began in July 2002. To think I entered PTC timidly, concern I wouldn’t meet the standards required of a degree, to come out the other end being able to debate interpretations of the Bible from the original languages, along with other abilities, has truly been a blessing from God. It was also the kind of year where meeting an Ewok look-a-like Cavoodle that did meerkat impersonations didn’t seem all that out of place! More of the dog later. I began the year with optimistic valour. I thought, “Just a language to learn, and a thesis to write. How hard could that be? ?” I had to ask… When I learned Greek, I thought that was hard. But, compared to Hebrew, Greek was a walk in the park! Or should that be ‘a walk in the λάχανον’? Anyway, I found Hebrew extremely difficult, and I can now understand why everyone I spoke to discouraged me from doing it. But I had to be stubborn! In the first 3 weeks, while my classmates were flat learning the language, I was flat out learning how to access the language. Not being able to use paper and pen means doing everything via a computer. At the start of the year, my main computer was my Windows laptop. Changing from English to Hebrew and back again wasn’t as straight forward as one would hope. So then I tried my Mac which, thankfully, was much more streamlined. Then I found sophisticated word processing applications (like MS Word, Mac Pages) couldn’t handle right to left text (Hebrew runs the other way to English). So I had to buy a word processing application that could handle bidirectional text. Then I found many of the processes and methods I had developed for learning Greek weren’t going to work for Hebrew. At every step in the journey, I incurred frustration. I seriously pondered whether I needed to withdraw. But, I was told of some vocabulary applications for the iPhone, and they pretty much made all the difference. Then I was left to struggle with the same issues as everyone else – vowels that changed for no apparent reason, and vocabulary that had no bearing with English. But now, I am ever so pleased I had taken on the challenged – and succeeded! The strange thing is, while Greek was easy to learn, it’s hard to read, Hebrew is hard to learn but easy to read. Many others have made the same observation. As for my thesis – ey! Emotions are still raw as I write this. I only submitted it in recent days – for the second time! It was toward the end of November. My thesis had been submitted 3 weeks prior, my final Hebrew exam had been completed, and I began to celebrate. My studies were over! So I thought. Alas, those celebrations were short lived. 4 hours later, my thesis came back. Not good. The topic I had chosen was ‘The work of the Holy Spirit in the person with a disability, and their relationship with the church’. Now, if you ever wanted a challenging topic to write on while adhering to the Reformed theological tradition, this would be one of them. I chose this topic for 3 main reasons. Firstly, my Pentecostal friends often speak of the Holy Spirit, and I wondered if he really did some of the things they claimed. Secondly, I wanted to provide a theological basis for disability inclusion. I have come across disabilities ministries that are completely segregated from mainstream churches. They do a wonderful service in ministering to people with disabilities, but I wondered if they capture God’s vision for his people (there’s only one!) and the ministry of reconciliation. Thirdly, as a would-be Presbyterian minister, I wanted to state very clearly what my theological agenda is from the perspective of disability – I want to see people with disabilities included in the life of main stream churches as an expression of God reconciling all things to himself through Christ. So the thesis gave me an opportunity to explore these issues. Unfortunately, the examiner wasn’t happy with my arguments (and rightly so, I’ll readily admit), although they applauded my efforts. So in the past month, I’ve had to come up with a new argument, and rewrite half my 8,000 word thesis. Not to mention attending several speaking engagements, organising a Christmas service, and going to Melbourne for 3 days during the process. Now, 8,000 words may seem allot, but when you have a mind as hyperactive as mine, I can assure you it’s not! My biggest frustration was cramming all my ideas under the word limit. I have enough discarded bits and pieces around here to publish a book. That’s before I develop them any further so a nonacademic could actually understand! Of course, I’m happy for people to read my thesis, so long as they’re prepared to contend with Greek, and a bit of Hebrew. As I write, I still don’t know whether I’ve actually finished my studies. I’m still waiting for the result. 2012 also saw plenty of opportunities for me to speak and teach, which I’m most thankful for. In March I preached on John 9 at St. Clements Anglican Church, Mossman. The same sermon was delivered at Temora Presbyterian Church in June where I also spoke to them about how they could be more inclusive of people disabilities. This is where I met this strange dog that would frequently sit upright on its hind legs with its front paws drooping downward, and have a good look around the room. It was quite funny to see. I was able to preach the same sermon again to Buxton community church, which was an eye opener into the workings of community churches in December. In October a ministry for people with intellectual disabilities called ‘Jesus Club’ invited me to preach at their supporters night on Matthew 28:16-20. This was a great opportunity to meet new people and encourage them. Raising the awareness of disability also kept me busy as I introduced the Luke14 program (a disability inclusion initiative by Christian Blind Mission), to Anglicare in Campbelltown in May. I was also able to speak to the Presbyterian Women’s Home Mission Committee in June about the needs of people with disabilities and their families, and my desire to equip churches to meet this need. Similarly, I had the opportunity to speak about disability at the ‘Flourish’ Presbyterian Conference in July. St. James Anglican, Turramurra, had a disability awareness Sunday asked me to speak for 10mins on ‘Loving People with Disabilities’ in relation to 1 John at all 3 morning services in December. This also was very well received. My answer? We love people with disabilities the same way we love anyone – the way God has loved us in Jesus. My last college mission saw me going to McClean on the north coast of NSW. There, I was able to give my testimony to the local Presbyterian Church. One of the members saw an opportunity, and the next thing I knew, I was off to Grafton Christian School to give my testimony there as well. It was very encouraging to see how the students responded to what I had to say. I think I’ve remembered all the speaking I’ve done… My apologies if I’ve left out anyone! Aside from these opportunities, I continued to teach year 2 Scripture. This has been an extremely valuable experience for me in learning how to relate to kids. It’s always interesting looking at the lesson in the teacher’s manual thinking, “That’s not going to work for me…” Then coming up with my own approach. Computer produced find-a-words based on a Bible passage and colouring in pictures from the internet have come in very handy. Church services at the Allambie Heights Cerebral Palsy Alliance continued this year, and it was great to have so many willing volunteers to help me out with the ministry. This year we went through Genesis 1-12, looking as some of the fundamentals of the Christian faith: that God loves us, he provides for us, he wants to restore us and the rest of the world from sin, and we need to trust him in that regard and obey him. Recently we’ve been going through the Sermon on the Mount, understanding it as an appropriate way of responding to the grace God has given us. At the end of the year we had our Christmas Service. A number of people got a band together so we could sing carols. Everyone involved put in a huge effort. People came to the service who don’t usually come, and they were able to hear about how Jesus gives us peace with God, which is where peace on Earth starts. It was a really encouraging time. So, all that was quite allot on top of my studies. Pending the response to my thesis, I’m assuming the formal part of my studies is over. So what happens next? In a word: DUNNO! However, I’m hoping to be licensed to preach on the 3rd January (again, pending the thesis result). This does not mean I’ll be ordained, it’s just one of the last steps toward ordination. How and when ordination will happen remains a mystery. Nothing has been planned in terms of employment for 2013 (that I know of!). There are a couple of leads I’ll be chasing up in January. Apart from this, I’ll continue teaching Scripture, running the church services at Allambie Heights, and providing a bit of pastoral support. I’m hoping that the opportunities I have to speak and teach around the place will continue, and develop into something sustainable. Apart from this, I have a small stockpile of books to keep me occupied. In many ways I feel I’ve only done the preliminary part of my studies, and now I’m free to get on with the real work. There’s a number of issues I’d like to address, as well as developing my thesis further. In terms of further formal study, I’ll be taking a break to recover from the prolonged pressure of study, and to discover what ‘normal’ now means for me. But the possibility wont be too far from my mind. As such, The Student’s Desk will remain, even though my former studies are over (for now). I look forward to exploring and learning even more. It’s been a really, really long journey, and I’m thankful that so many have stayed with me on it. Especially those who have been with me from the beginning. Whatever happens now, I feel hugely blessed by, not only in being able to do theological studies, but to actually excel in them. This is a privilege and a grace. Peace on Earth?? You gotta be kidding! The following message was preached on 8th December 2012 at the Allambie Heights Cerebral Palsy Alliance. Peace on earth. It’s one of the things we celebrate at Christmas. But as we look at the world, and our relationships, and even within ourselves, we may start to wonder where is this ‘peace on earth’ we’re meant to be celebrating? I looked at the world section in the Sydney Morning Herald yesterday, and saw stories about violent clashes in Egypt, people being killed by typhoons, spies being poisoned to death. Peace on earth? Are you serious? Then in our lives, we so quickly find ourselves arguing and bickering with the people we love! I know I’m one who’s always up for a good argument, and I sometimes wonder why some people are still talking to me. Then if we’re not arguing and bickering with other’s we’re getting frustrated with ourselves, and our limitations with trying to get things done! We’re now into the Christmas season, and my past three weeks has been anything but peaceful. I’ve been down to Melbourne, and I’m convinced that anyone who finds that flying is peaceful can’t be normal. Last weekend I was down in the Southern Highlands, preaching. Today I’m here. Tomorrow I’m at Turramurra Anglican. Somewhere in the middle of all that, I’m trying to re-write a major paper so I can graduate college. And then there’s the local shopping centre! Peace on earth? You’ve gotta be kidding! How can we as Christians seriously talk about peace on earth? Well, I’ll tell you how. A long time a go – a REALLY long time ago, there was a guy called Isaiah. Isaiah was a prophet. Now, what prophets did was they spoke on the behalf of God. Isaiah was telling people what God was about to do. If you think things today are pretty wild, the kinds of things that Isaiah was talking about were ‘off the planet’. Because God’s own people were disobeying God, Isaiah was predicting a time when God’s people would loose their country and their city, and nothing of their city would be left. Absolutely nothing! They’d be forced to live in a foreign country where they spoke a foreign language. A time that was not peaceful in any sense. Yet, Isaiah wasn’t all bad news. He also spoke about a time when these people, who had lived in this very dark time would also see a very bright light. A time when everyone and everything against them would be stopped. Because Isaiah also predict a time when a mighty ruler would be born – a King. A King whose kingdom would be world wide. The law of this land would be justice and peace, and will last for eternity. Forever! Despite the turmoil that Isaiah saw coming, he could still talk about peace. Whether or not Isaiah knew it at the time, this Mighty King he was talking about was Jesus. Isaiah was talking about Jesus over 700 year before Jesus was born. Jesus would be the King of this everlasting kingdom and bring about this peace. So how does Jesus bring about this peace? The problem God’s people had in Isaiah’s day was they had disobeyed God. And it’s the exact same problem we have today. As long as there’s sin, we can’t have peace with God. Unless someone takes our sin away. And guess what Jesus did? He took our sins away. This was the whole reason why Jesus was born. Jesus was born, he lived, he died, and he rose again so we could have peace with God. That in his very death, he took all of our sins, all that we’ve done, and ever will do, and they were destroyed, done away with, finished. Peace on earth starts when we have peace with God, by putting our faith in Jesus, trusting what he has done. Isaiah says that people will rejoice over this, like at harvest time. Now, none of us are farmers, and we don’t know the joys of harvest time. But I take this is something to get excited about. So what do people get excited about around Christmas? They get excited about Santa, presents, decorations, shopping (unless you’re male). People get excited about food. My Bible study group had a Christmas dinner on Thursday night, and when the food came out, boy, did I get excited! That homemade dark chocolate cheesecake was something else! But here’s the question: how excited do we get about Jesus. How much do we praise Jesus, talk about Jesus, cherish the life Jesus has given us? Because as good as that cheesecake was on Thursday night, it pales into insignificance compared to the peace we have in Jesus. Jesus is worth getting excited about. The world is messy, our relationships are messy, and our lives are messy, but when it comes to ‘peace on earth’, we are serious. We’re not kidding around. Because peace on earth starts when we have peace with God, and this is what Jesus has achieved for us now. As believers, we look forward to the time when Jesus return to establish his kingdom where we wont only have peace with God, but we’ll also have peace with everyone else. Now that is something to get excited about! Let’s spend Christmas praising Jesus and talking about him.